Having completed an appraisal of the problem, the analysis from Step 1 should lead to a clearer statement of the problem as well as identification of one, or probably several, desired goals/outcomes as a result of the reform initiative. Exclude customary or religious justifications for gender-based violence. Writing goals in a specific way so as to reflect a human-rights-based approach can help ensure a programme’s success is measurable and meaningful. See an example of specific goals and objectives for a judicial training programme. Which goals are most important to women and girls who are directly impacted? Which goals could include an immediate benefit for women’s and girls’ safety and access to justice? Identify would-be “spoilers” and potential champions - what kind of political opportunities are available for action on each outcome? Adopt multiple timeframes and categorize goals into shorter or longer term. Which goals can be realistically achieved through advocacy by your organization or coalition of organizations? 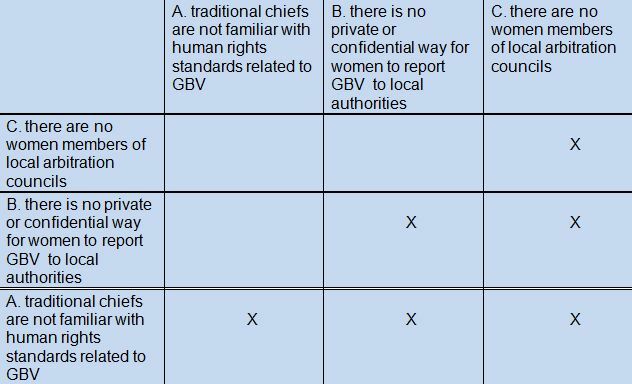 It can be difficult to focus in on a manageable project, especially when an appraisal of the sector reveals multiple issues that all affect women’s and girls’ safety and human rights. Including stakeholders and community members in the process of prioritizing desired outcomes is an important step and can help generate buy-in up front for programming initiatives. 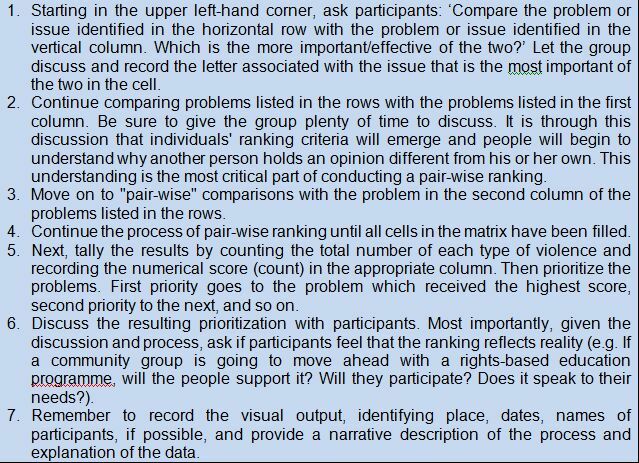 One method of participatory prioritization is pair-wise ranking. 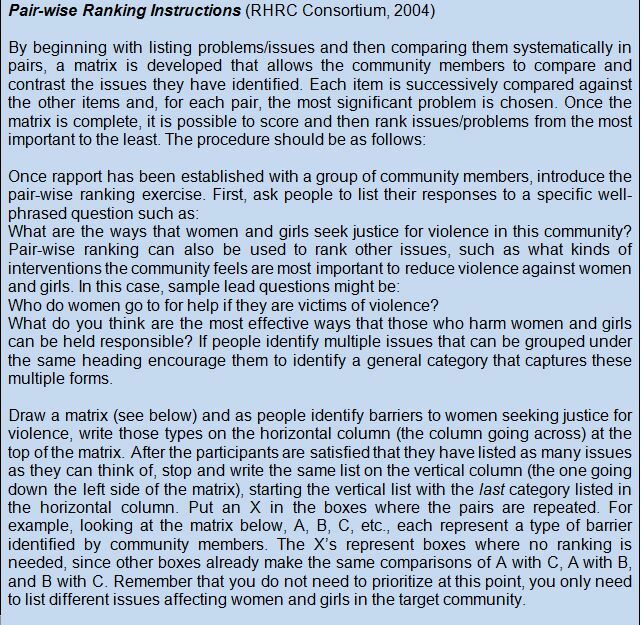 This method allows communities and stakeholders to systematically examine an array of issues and come to conclusions about which issues are most critical. Another method for prioritizing goals and associated activities is visualizing the situation in terms of pits and ladders. 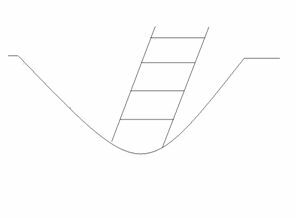 Using a simple ladder image, organizations can describe the problem they are facing as a pit that they need to climb out of through programme activities. The goal is the ground at the top of the pit, the place where the community will arrive once successful programming is implemented. The rungs on the ladder represent the steps that the programme will undertake to make the desired change.